Precision engineering company Bernard Holmes Precision Ltd has succeeded in its aim for zero customer rejects with the help of Bowers Group. The company specialises in both CNC and conventional machining in a wide range of materials, with customers from a variety of sectors. Many of the precision components measured at Bernard Holmes Precision Ltd require bore measurement, therefore the company possessed a wide variety of measurement methods. After 15-20 years of use, the company was keen to upgrade its kit and invest in a selection of new micrometers to include digital gauges, as well as expand the variety of bore micrometers available for use. "The Best Bore Mics Out There!" 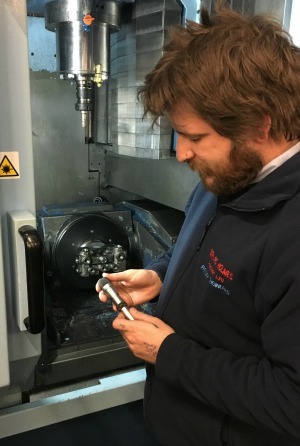 Based in Billingborough in Lincolnshire, Bernard Holmes Precision Ltd specialises in CNC turning and milling of high end precision components, and can cater for either large or small batches, manual or CNC multi axis machining. Employing more than 20 people, it’s diverse customers are from a huge range of sectors; from bulk handling to hydraulics manufacturers, and everything in-between. The company has a long reputation of machining complex components with great accuracy. They have a team of extremely skilled precision engineers who ensure that every component is made exactly to the customers’ requirements. The inspection team ensure that components are checked before they leave the factory as the company aim for zero customer rejects. 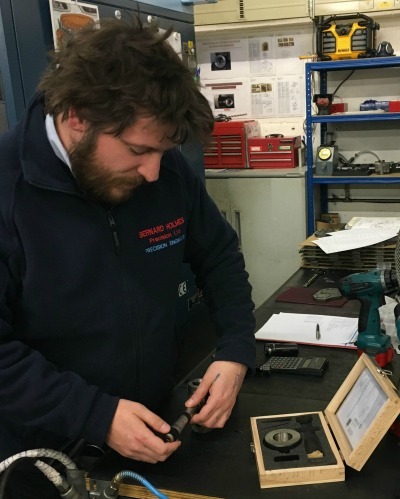 When a new employee recommended Bowers Group micrometers, Bernard Holmes Precision Ltd took their advice and ordered several, including the XT Standard Analogue Bore Gauges and XT Digital Bore Gauges. Staff at Bernard Holmes Precision Ltd are so pleased with the micrometers that Bowers Group has truly lived up to its well-known reputation as the world's leading bore gauge manufacturer. The bore gauges are used all over the factory for convenient shop floor measurement, as well as keeping one set safely in the inspection department. Bowers Group’s micrometers are compact and light, and ergonomically designed to be easy to use. With improved functionality and a wide range of measurement capabilities available, they are the perfect solution for the accurate and repeatable measurement of bores.